In November, the Office of the Treasurer sent a letter to the state pension funds calling for more diversity on corporate boards. Women Serve on Boards is in full support of this letter. It was written in light of all the women stepping forward across the nation to address sexual harassment in the workplace. California State Treasurer, John Chiang, questions whether such behavior would have ever occurred had more women been on boards of companies, like The Weinstein Company. We must continue to proactively increase corporate board membership diversity rather than take the backseat, which has lead to the current state of mass media exposure on misogyny and abuse. Chiang proposes changing the definition of a diverse board to one in which “at least 30 percent of its members are women and 30 percent of its members are diverse in terms of sexual orientation and cultural and ethnic composition.” This “30 and 30” goal is a huge step, and we will do everything in our power to help meet the state’s mission! 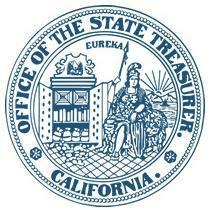 Read the full letter to the California Public Employees’ Retirement System Board of Administration and the California State Teachers’ Retirement System.